First, before I rant for the next minute or so, let me preface this with I love being a mom. I love my children. I love my husband. What I don’t love is the joy they all seem to get when they sneak a little swig of mom’s drink. Everyone can have their own glass of pop in front of them, but it’s my Diet Coke they all seem to want to swipe. But ahhhh, do I get my moment. 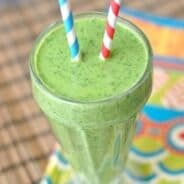 That time around lunch when the house is quiet, everyone is at school, husband is at work and I can whip up one of these beauties in the blender. And I don’t have to share. 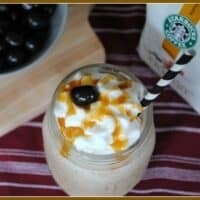 **I like to use Starbucks Coffee Caramel flavor for these, but any brewed coffee works great! In a blender, mix ice cubes, milk, ice cream, chocolate syrup and caramel until smooth. 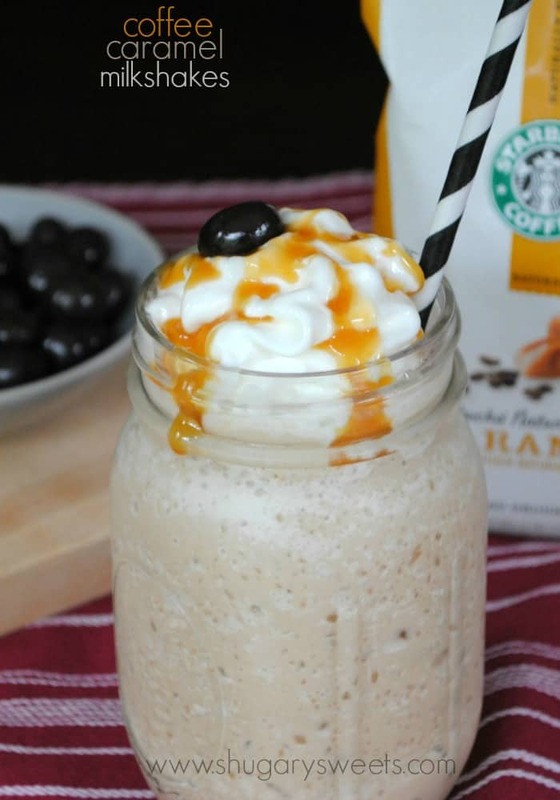 Pour in a tall glass and top with whipped cream (and more caramel if desired). Enjoy immediately! To make coffee ice cubes, pour cooled coffee (the stronger, the better) into an ice cube tray. Freeze. Ok, so I know what my special treat is going to be tonight. Thanks for sharing!!! Oh I want one of these for breakfast lunch and dinner! That time of day is my favorite too…love the quiet:-) I would definitely not be letting anyone steal a swig of this yummy shake from me!!! 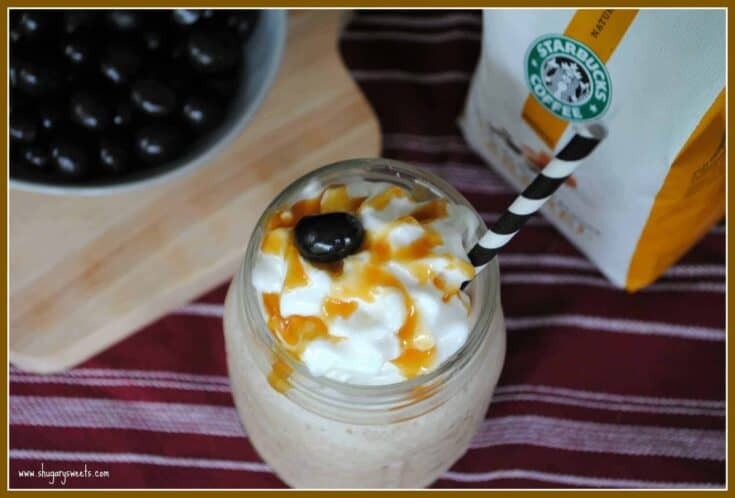 One of those shakes and a bowl full of dark chocolate espresso beans sounds just perfect!!! I am going to be dreaming about one of these tonight 🙂 Which probably means I’ll wake up and make one for breakfast…it’s got coffee so that makes sense, right? Want one right now. Oh goodness, this is bad news…in a really good way! That is one wonderful guilty pleasure! I love Starbucks coffee any flavor. Love cold coffee drinks in the summer! Perfect pick me up after the pool! Can’t wait to try this. I totally get you on the rant. My kid always thinks my plate looks better than hers! These milkshakes, YUM. I must have one. Yummm this looks SO good! That would perk up my afternoon for sure! Thank you for sharing at Thursday’s Treasures. CONGRATULATIONS!!! Your recipe is being featued today on Menu & Party Idea Round Up from Cast Party Wednesday #41! I know, right? My kids do the same thing! I can make them milk shakes and as soon as their done “Mom can I have a sip?” Drives me nuts! 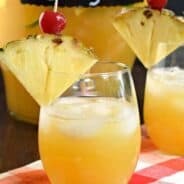 But I’m going to save some of the morning coffee for my ice cubes and come Tuesday when they’re all off at school, I’ll be thinking of them while I sip one of these, ahhh, sweet, sweet revenge! Does that make me a bad mom? Looks amazing! It’s like the coffee places have a scret way to make it because mine never turns out as good. I need to try this! This is a wonderful and sinful treat! I’m not a huge coffee person, but this looks SOO good. I love the caramel. If I had seen this moments early, I would be enjoying this creamy treat, instead of my boring old cup of afternoon coffee. Yum! Oh my goodness, this looks amazing! I can’t wait to try it. Thanks so much for linking up to Creative Thursday this week. Have a wonderful weekend. 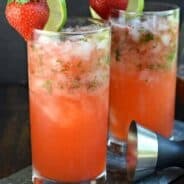 oh my heavens this looks and sounds SOOO delicious! Drive thru Sonic for a Java Chiller with caramel. A lot less work!! I just had a BK Caramel Frappe 2 weeks ago and have been craving the crap out of another one for a while. This sounds like a much better version and I cannot wait to try it! Stopping by from Trick or Treat – and pinned to share! Pure coffee perfection <3 I'd love to drink it even now! I wish my homemade coffee looked like yours.